It was brilliant, voiced by the drivers themselves and with a great guest star in Alexander Armstrong as the man supposedly in control. The animation was very well done, the scripts engaging, and whilst there are a couple of weak links in the chain, overall it was a genius series. Here's a brief handy compilation of the episodes and what made them brilliant. 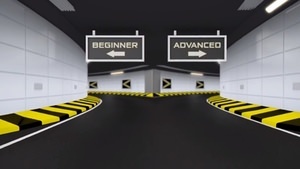 Our introduction to the Tooned world begins with a pretty strong insight into just how competitive the drivers are with each other, and just what a father figure Professor M has to play. We also given our first peek at the mechanic minions, who are pretty awesome. Things to love in this episode: Nigel Mansell's moustache, the super slow golf cart, pink Pirelli tyres, and - best of all - Lewis's cute little frowny face. It's a relatively tame episode compared to some of the things that were set to happen later in the series, and the boys are just looking at some new race suits, and a couple of new buttons in the car. Things to love in this episode: A dig at Button's grooming skills, from Hamilton of all people, some not-very-inconspicuous tweeting and a spirit level to get just the right hair cut. 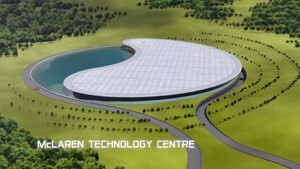 It's a bit early for an episode to jump the shark, but here we end up with a peek at the floating future of Formula One, and a pretty big reveal about the McLaren Technology Centre. The joke about McLaren memorabilia is well done here though. Things to love in this episode: Jenson Robot-tun and Lewis Hamil-bot (which doesn't really work at all! ), ice/oil skating and moonwalking, and pilots spotting floating bars of soap! The fourth outing for our Tooned characters sees them finally getting to do what they want - race! Although, it's within Professor M's limits, and that isn't exactly thrill a minute. The only way round it is to do things backwards! Things to love in this episode: The need for tweed, a new phenomenon called test-racing, helmet windscreen wipers and the super motivational sat-nav. 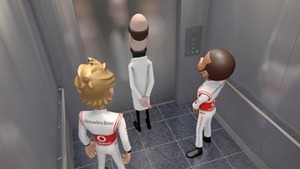 Away from the MTC, Professor M and the boys get stuck in a lift, which allows him time to teach them a lesson about the value of engineering. I'm still not quite sure what the lesson is, it seems to be that if not cheating, then sabotage is okay. Which it really isn't. Things to love in this episode: Hamilton's instant reaction to getting locked in, ye olde animation styles, minion carrying the mobile phone! 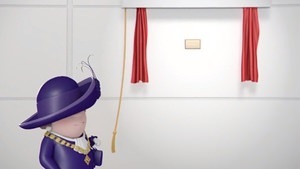 The Mayoress of Woking is coming to visit the MTC, and Professor M is out to impress. 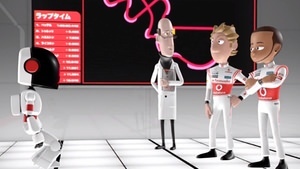 A wind tunnel demonstration goes slightly awry when Lewis and Jenson are blown away, leaving Professor M to find out what happened. Things to love in this episode: Bow ties are cool, the more intelligent than anticipated minion-style mayoress, and the boys grappling with each other's noses. On location in Japan, the boys visit the Future Technology Centre, a rather incredible underground facility all lit up in neon lights. The boys are there to learn and test, but rather teach the future robots a thing or two about racing. Things to love in this episode: Japanese minions, the super-cool switching track layout, the testing robot getting the message about racing, and "speak to us, say something boring!" In this episode, we are introduced to a new character, Nyck. He's the star of McLaren's Young Driver programme and the focus of the full episode. 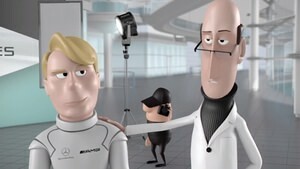 Oddly, there's now Lewis in this one at all, with just a brief appearance by Jenson at the end. Things to love in this episode: The gallery of previous champions, the "you have to be this high" measurement, Gerhard's Burgers, and having to peer above the cockpit. The team's take it in turns to lay on the entertainment for the post race party, and Professor M wants the boy's opinions on McLaren's offerings for the Indian Grand Prix - it's all about the minions, and they've gone a little Bollywood crazy! Things to love in this episode: Well, it's dancing minions, so what more do you need? 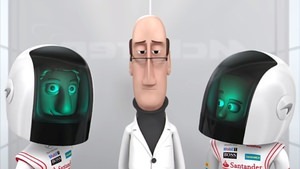 Okay, also Jenson's little bit of stubble, the rest of the team colours represented on the minions, and Lewis' comic timing at the end. There's a guest star in this episode, with the rather fantastic Mika Häkkinen. According to Professor M he's trustworthy, but the boys manage to talk him out of retirement in just a few seconds, and things quite quickly descend into a race. Things to love in this episode: Minion with a camera, racing - but not getting very far - in the wind tunnel, slo-mo Mika as he makes the jump. Nyck is back at the McLaren Technology Centre, and this time he's finally allowed out on the test track. Unfortunately, he's got a companion, as Professor M takes on the driving instructor role. No appearance from Lewis or Jenson in this one. Things to love in this episode: Bodywork Finishing Supervisors, dual controlled F1 cars, and minions in high-vis jackets. 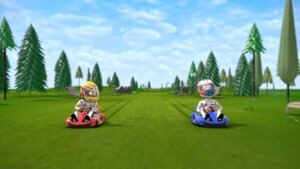 We all wondered how they were going to handle the departure of Lewis Hamilton from the team, and what the future of Tooned would be. This episode leaves us with a bit of a cliffhanger, as there's a massive glitch in the system. Jenson emerges from the simulator okay, but what's happened to Lewis? Things to love in this episode: That mobile phone noise, a brief appearance of Segways, and space hoppers, switching hairstyles, and oh my word, RON DENNIS! 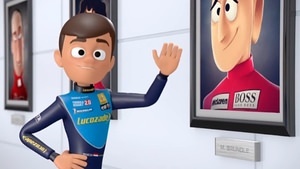 There have been sightings of the Sergio Pérez character around the internet, and I am very intrigued to see how the Tooned dynamic will change with a new character. I would also like to hear more from Cosworth the... pigeon? Anyway, I loved this series, I think it's creative and engaging, and I'm glad they're doing more. Until then, I'm just left trying to decide which is my favourite episode.